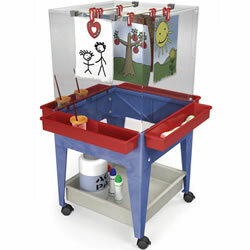 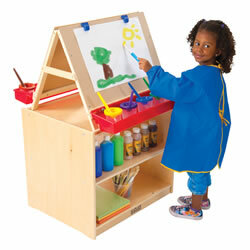 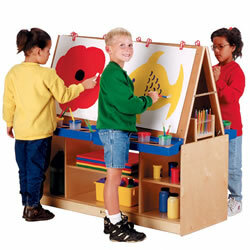 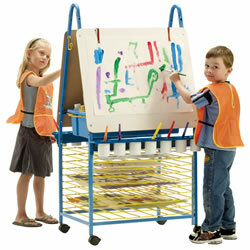 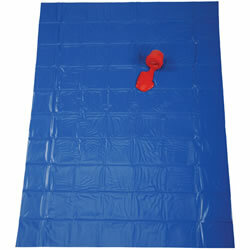 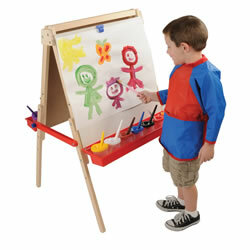 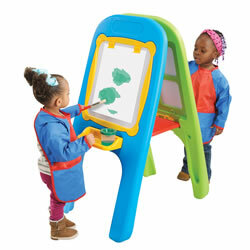 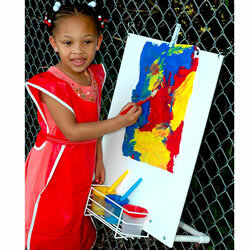 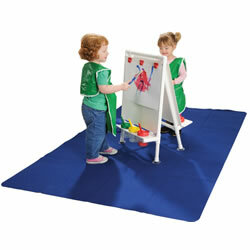 Kaplan provides a wide array of indoor and outdoor easels as well as splash mats. 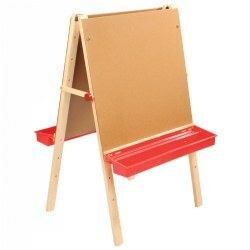 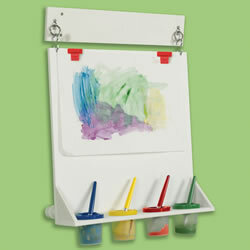 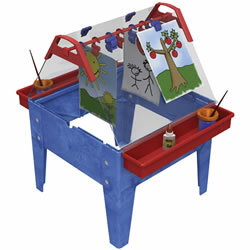 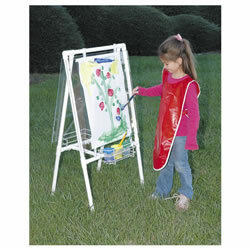 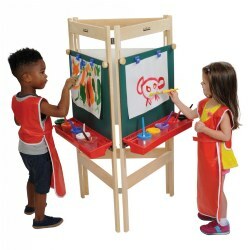 A variety of easel options are available including: paint trays, easel clips, wall mounting, tabletop, and multi-station. 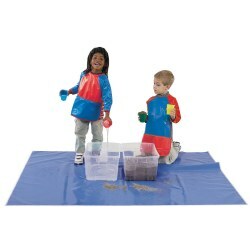 3 years & up. 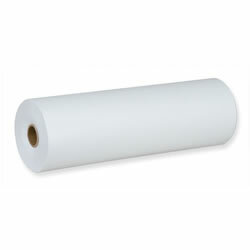 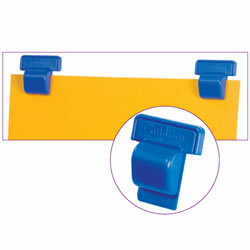 Giant clips come in assorted colors, are easy to squeeze and heavy duty. 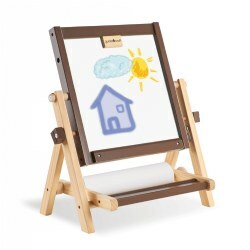 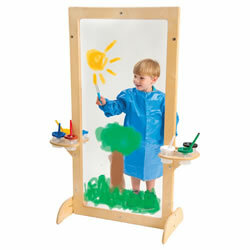 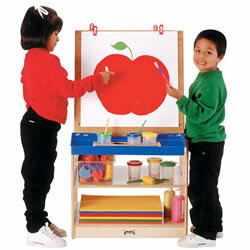 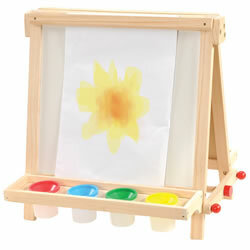 Perfect for easels and fine motor activities. 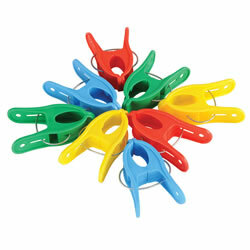 Set of 20 clips. 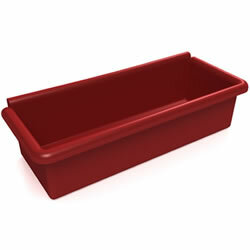 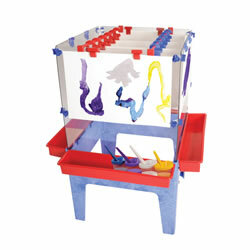 Red replacement tray caddy that fits the 18" Double Mite Sensory Table (88215).